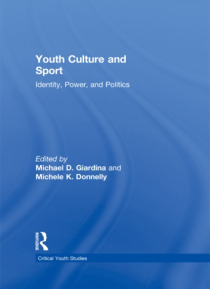 Youth Culture and Sport critically interrogates and challenges contemporary articulations of race, class, gender, and sexual relations circulating throughout popular iterations of youth sporting culture in late-capitalism. Written against the backdrop of important changes in social, cultural, political, and economic dynamics taking place in corporate culture's war on kids, this exciting new volume… marks the first anthology to critically examine the intersection of youth culture and sport in an age of global uncertainty. Bringing together leading scholars from cultural studies, gender studies, sociology, sport studies, and related fields, chapters range in scope from 'action' sport subcultures and community redevelopment programs to the cultural politics of white masculinity and Nike advertising. It is a must read for anyone interested in gaining a better understanding of the role sport plays in the construction of experiences, identities, practices, and social differences of contemporary youth culture.